JoAnn Corley-Schwarzkopf | NewSchool Management: Did You Know Positive Qualities Produce Profits? Did You Know Positive Qualities Produce Profits? Since it's my 20th anniversary in business, I'm posting throughout the year findings and insights I've gleaned from my 20 years in business (40 if you count my young professional life) that have shaped the work I do today. In particular, it's been thrilling (yes, I'm a bit of a science geek) to see the progress of brain science and the growing acceptance of metaphysics in a variety of areas -- in particular business. What's been most meaningful to me is the increasing intersection between science and spirituality and it's infiltration into leadership and business operations. Science is proving things the spiritual community has known and believed for centuries. "Doing good is good business." If you didn't believe it before, data analytics can prove and reinforce it now. How cool is that! In general, there is a growing emphasis on the human experience in business and yet many leaders and managers do not know how to lead within this experience. Early management tactics are not as effective for this 21st century workforce. The mantra for better management and how people/employees are treated comes down to this: the better employees are treated, the better they will perform, the better a business will run. It's not rocket science, however, it is people science. In the book Power vs. Force, author and scientist David Hawkins (not to be confused with Stephen Hawkings) records the results of muscle testing (behavioral kinesiology) when certain objects with negative energy are held to the heart. As the object is held in testing the strength of outstretched arm, it is easily pushed down. However, when that same person holds a positive thought and downward pressure is applied, the arm is able to be held firm. This simple test suggests positivity, the "good energy of the thing" empowers... it actually gives strength, its energizing. In fact, like all positive energy it is life nurturing and sustaining. This is the distinction between negative energy and positive energy. Both can provide an initial surge of power or motivation, however positive energies build life, the other wears down, distorts and/or snuffs out life over time. Here's another example. Let's say someone has been deeply offensive or hurtful to you. The most common response would be perhaps with hate or resentment, both of which could last for a short time or long. Also, both feelings carry an energy that have an effect on the giver and the receiver. Both, if held over time, can cause damage in a variety of ways not only to the relationship but also to the person possessing the feelings (damage physically, spiritually and mentally). Consider a different response. Let's say instead the person responds with compassion and forgiveness. Both are positive with an additional benefit. They protect not only the (life) energy of the offended person but their emotional center - the heart. You could even go so far as to say they act as an "energy shield" against the impact of the negative, hurtful act. Let's also say the initial responding qualities of compassion and forgiveness are present, but weak, even teetering on hate and resentment. If the person purposely, amplifies the positive qualities, consciously turns them up, increases the volume like the dial on a radio, their energy and power would increase and their protection shield strenghtened. Amplify defined: to make larger, greater, or stronger; enlarge; extend. To some reading, this may all sound a bit quirky and yet this is really a foundational principle of spiritually present in popular religions and personal development - we have the choice in how we respond. And now there is science to support that, as well as the holistic benefits. With these simple examples, lots of application can be made in multiple areas of business -- the most important of which is a company's culture, leadership and management. The success of these 3 components comes down to one simple element - human qualities (which we term "the human quotient"). When discussing employee performance, though we typically reference them by name, what we're really discussing (of which we may not even be aware) are their qualities and the behaviors those qualities produce. And those qualities (as I discuss in the post Can You Read Behavior Like the Beach Boys) have an energy, a power that supports and drives business operations or undermines or even sabotages it. So what am I really saying? 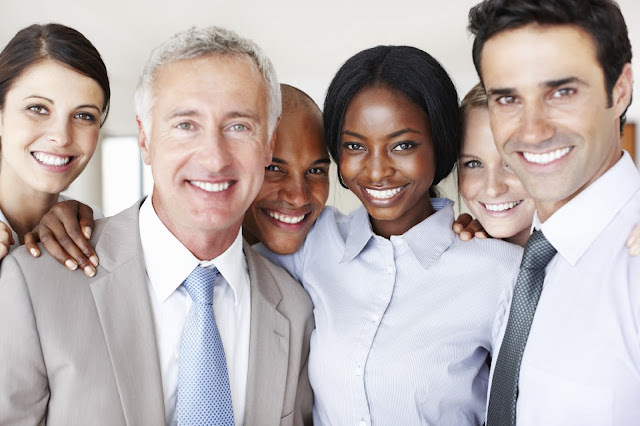 Positive qualities are the most important ingredient to business success. In fact, there are profits waiting to be realized if positive qualities are not emphasized or left dormant. Positive qualities equals profits. They are the key to business success! The more positive qualities exists and the greater their volume, (the magnitude of them), the more powerful they are, the more a company will operate at its best and therefore grow and thrive! KEY INSIGHT => You can have all the funding, tangible resources, best equipment, ideas, strategy, marketing-sales plans possible, but without positive human qualities to utilize and execute these, their value will be greatly diminished or sabotaged and subsequently cripple or slow a company's growth and profits. If we take this to heart and lead and manage accordingly, we will smartly utilize people science in our business operations. Because here is an interesting reality - people and what influences behavior is present whether you are aware or not. So we might as well get educated about this and learn to utilize it for everyones good. In a recent leadership roundtable I was conducting, here are some of the positive qualities desired and identified: approachable, patient, compassionate, tactful, direct, candid,(yes direct & candid are positive qualities), just, discerning, firm, humorous, problem solver, responsive, trustworthy, just to name a a few. Alternately here are some undesirable qualities that were listed: mean, rude, disrespectful, abusive, moody (that was an interesting one), distant, hyper-critical, uncaring. Just in reviewing those lists, it's obvious the impact each would have. By the way, I love this list from Monster.com Canada. Look beyond the person - focus on and coach their qualities. 1. Are there enough of them? 2. Are the positive qualities in your organization strong enough? 3. Are they dominate enough, intense enough to subdue the negative qualities that come along.... or can snuff out those negative qualities that currently exist? 4. Are they embedded into the dna or essence of your culture? Answer and practically respond to this questions and you'll be amazed at the organizational difference! A Unique Survey => Ask teams / department to provide 7 qualities that best describe the most dominate qualities of their team/department culture. Calculate results identifying qualities used (most listed) and the count of negative and positive. Of Note: For me, by the way, all of the above is not theory. 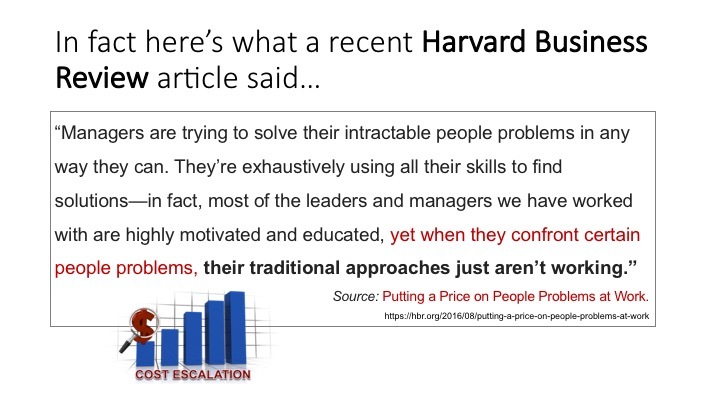 This is the work I'm involved with everyday -- helping clients develop leadership, management and cultures that experience this unique view of achieving optimal operations and high-performance teams. It's a culture with leadership that values, establishes and fosters a strong human-positive infrastructure that can support a company's growth with all its changes and challenges long term. This post is written from those results. This is why we can achieve rapid improvements with clients. 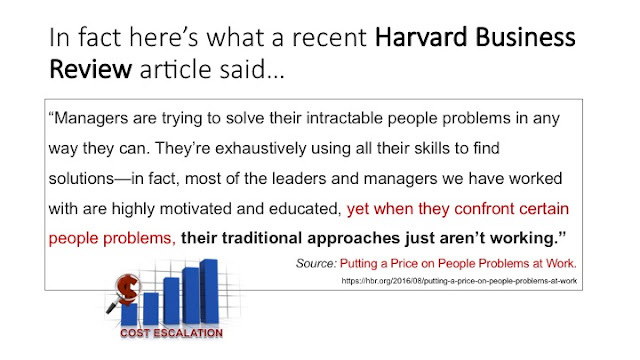 We can quickly identify and appropriately address the actual issue (which is typically related to human behavior) that most leaders, including many of their HR counterparts, do not see, take seriously or even personally promote (yep, I've heard stories). Both are full of unique business building strategies and concepts that have proven to impact any company's P/L. Want to improve your people management through understanding simple people science (building your human quotient)? Want to generate operational improvement? You'll want to get both!